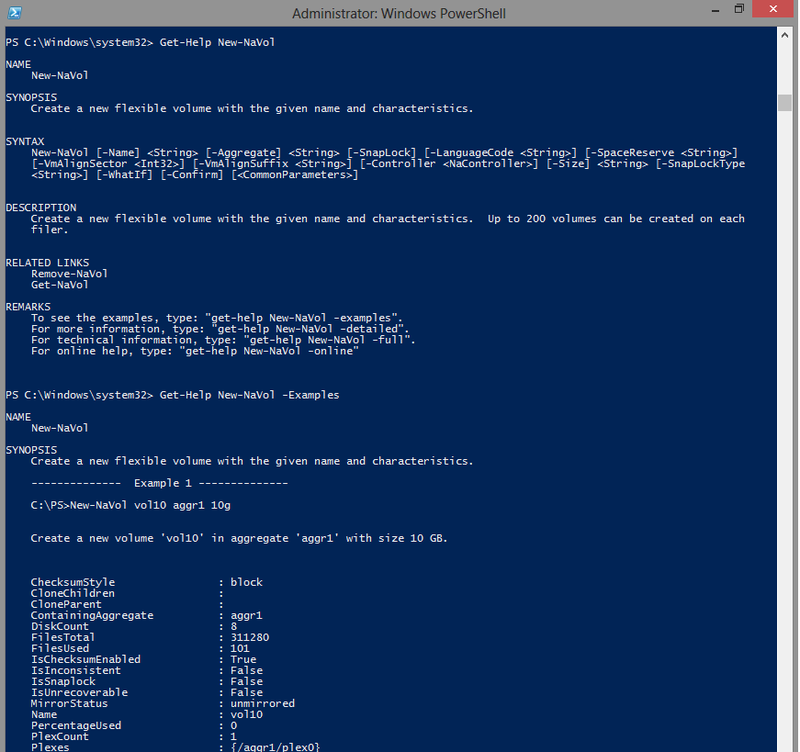 DataOntap PowerShell Toolkit contains several set of cmdlets to work with volumes. Its independent of PowerShell version 2 or 3. You can use New-NaVol cmdlet to create a new Volume. Remember to import Data Ontap PowerShell toolkit before you use any of the cmdlet. To Get a detailed help regarding a cmdlet type. To Get examples on how to use the cmdlet type. the information u sent was helpful. the commnads u sent were not executed in my power shell V3 . I guess you are dealing with normal volume and partition creation in windows and not creating Volumes on Controller level. You need to approach your situation with "Storage" Module in powershell, its got cmdlets to manipulate disks and partitions in windows level. The below command would get you all cmdlets you need to deal with storage aspects in windows. "Managing Storage with Windows PowerShell on Windows Server 2012"
the link u share was useful to meet my requirements.